(Newtown, PA– February 8, 2018) – Healthcare IT data and insights company, KLAS Research, announced that CenTrak has received its Real-Time Location Systems (RTLS) Category Leader award for the second consecutive year. As the Category Leader, CenTrak received the highest performance score of all ranked RTLS vendors*. The recognition confirms the value CenTrak’s unique IoT-based Enterprise Location Services are generating for healthcare providers. KLAS Research is a healthcare IT data and insights firm that collects feedback from thousands of healthcare professionals to generate accurate and impartial assessments on software, service and medical equipment vendors. KLAS scores are weighted in sales and contracting, implementation and training, service and support, and overall satisfaction. *2018 Best in KLAS: Software and Services, January 2018, www.KLASresearch.com, © 2018 KLAS Enterprises, LLC. All rights reserved. CenTrak improves healthcare operational efficiency and the quality of patient care via the industry’s most robust and scalable Enterprise Location Services™ offering. 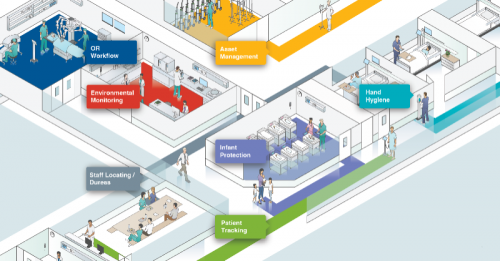 Ranked #1 as the 2018 KLAS Category Leader for Real-Time Location Systems (RTLS), CenTrak’s technology supports high velocity updates and sub-room level accuracy across the entire healthcare enterprise. In its mission to transform patient care, CenTrak helps world-class healthcare facilities increase productivity, streamline workflows, drive higher patient and staff satisfaction and reduce costs. For more information, visit CenTrak.com. KLAS is a research firm on a global mission to improve healthcare delivery by enabling providers to be heard and counted. Working with thousands of healthcare professionals, KLAS gathers insights on software, services and medical equipment to deliver timely reports, trending data and statistical overviews. KLAS data is accurate, honest and impartial. The research directly represents the voice of healthcare professionals and acts as a catalyst for improving vendor performance. To learn more about KLAS and the insights we provide, visit www.KLASresearch.com.